Millard Williams was born in Pensacola, FL but started his singing career as a member of the Milwaukee, WI group Otto & The Sensation, alng with lead vocalist Otto Mixon, Roy Turner(baritone), William (first tenor),and M.C. (second tenor). Their CTI release Keep On Loving You is a strong ballad featuring some fine harmonies and an emphatic lead. It sold pretty well in the Milwaukee area without denting the national charts. By 1969 Millard was in Ft Lauderdale, FL working as a waiter when the chef suggested he contact Henry Stone about a song he had written. 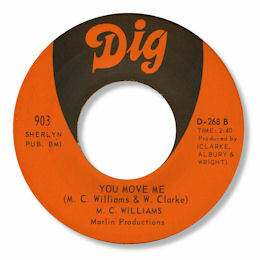 Williams met with Betty Wright and Willie Clark and arranged a recording session. The result was the excellent deep ballad You Move Me on which Williams shows what a good, expressive voice he had. The backing is by the Oceanliners who became KC & The Sunshine band and the tasteful guitarist is Little Beaver. 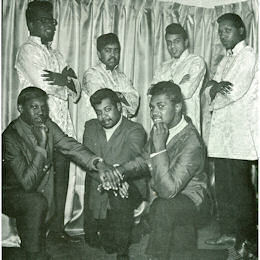 Williams, who now lives in Tallahassee, FL toured with the Chi-Lites in their early days as the Hi-Lites, as well as Harvey and the Seven Sounds, Gilbert Moore and the Esquires, Mitty Collier, Arthur Conley and Floyd Dixon. 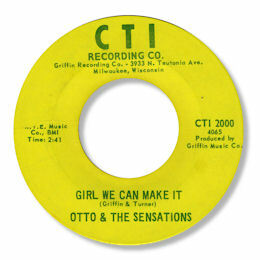 UPDATE ~ I am delighted to write that Shafi Turner has kindly been in touch about Otto & The Sensations. "Roy Turner from the group is my father, and Otto and William(Uncle Chicken) where seen as uncle in our house coming up. Just a lil info to support my deep appreciation of the article." Shafi adds that he is in the music businees as well. "I currently help run a urban recording studio in Milwaukee and without tooting my own horn, have become a pretty important player in the northside, underground scene. I have a client list of about 300. Artist such as Speech from Arrested Development,Australian Pop Artist Felecia Alima Proof from D12,Beefe, Ray Rizzi, Ray Nit,ti, Rico Love, Jersy Ave, Coo Cal, Cincere, Yung Oki...Just to name a few." I'm sure we all wish Shafi god luck in his musical endeavours. Note ~ Special thanks to Riley Gibson for the suggestion and info, and to Millard Williams for the fine music. The wonderful pucture of Otto & the Sensations was kindly sent by Dante Carfagna (see Links) - - as ever I'm very grateful to him for his assistance in these pages. Thanks also go to Shafi Turner for his excellent new info on Otto & The Sensations.